Twenty-five. That’s how many Zonda Fs were made. And now, it looks as though there’s one less. 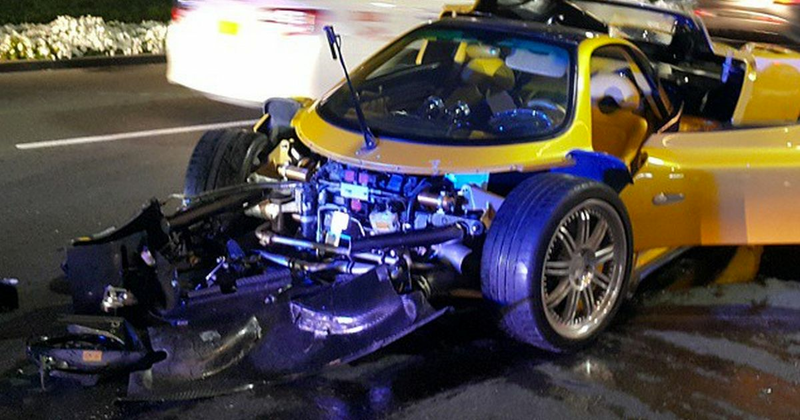 An Instagram user captured the aftermath of a severe-looking crash in Dubai, involving a yellow Zonda F. Details surrounding the accident are scarce, but it at least looks like the safety cell held up. The rest of the car is a mess, however, with damage at the front and back, plus a left rear wheel which looks a tad wonky. If it is repairable, it ain’t gonna be a cheap fix. According to the source, the car involved is the one you can see in the video above (in happier times).